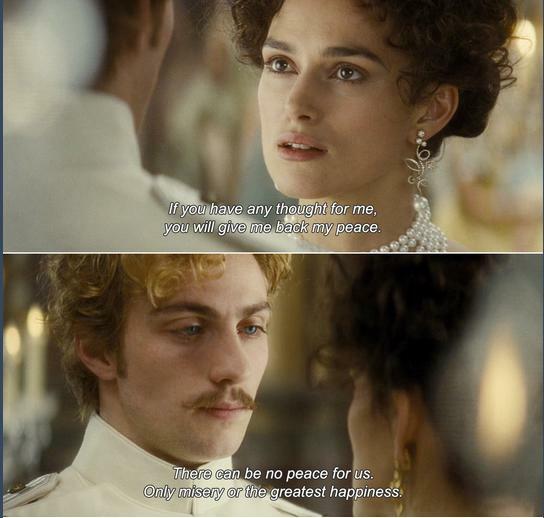 Vronsky: There can be no peace for us. Only misery or the greatest happiness. "I’ll never forgive myself for your unhappiness."